There are many applications to transcode video, but the list narrows down when it comes down to audio, even when the incompatibility with many portable music devices force us to convert many songs if we want to listen to them. Fast AMR M4A AC3 WAV MP3 WMA Audio Converter intends to be the definitive audio converter. Even though it isn't capable of converting between all the formats that exist nowadays, it does offer support for the most used and some exotic ones: WAV, MP3, WMA, OGG, APE, M4A, MPC, WV, AMR, AC3, AU and AAC. The converter can convert all the aforementioned formats to M4A, AC3, WAV, MP3 and WMA, that are most used by devices like iPod/iPhone, Zune, Creative or PSP, among many others. The key features of this program are simplicity and a rather tight resource consumption added to a quick conversion speed. It includes various conversion profiles by means of which we can convert audio to our favorite devices without the need to have audio knowledge. 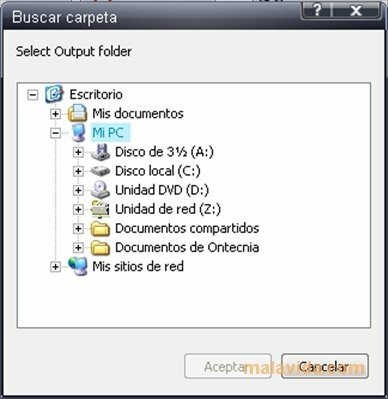 Those that have more experience can modify the profiles directly from the only window that the program has, even though it is possible that some users may miss certain configuration variables. Ideal for beginners and computers with low power.